What is a link building campaign, and why does it require a carefully developed strategy? A link campaign is a carefully planned initiative—using unified tactics to create an overarching strategy—designed to secure backlinks from other websites over the course of months. The primary goal within a link campaign is to consistently increase the quantity and quality of third party sites linking to important pages on your site. Increases the organic search traffic to your pages. When a reputable site links to your page, they're effectively recommending (and directing) their audience to your site. Links serve as a powerful endorsement. Link building is a win-win-win: you increase your reputation with other sites in your industry, their audience, and search engines. Why is a campaign necessary? Strictly speaking, it's not. The compelling reason to create a link campaign boils down to one word: sustainability. Because links are so valuable online, and rely upon relevant sites in your industry, you'll often need peristent effort to achieve sustainable results. While links can be secured in a one-off fashion (not necessitating an entire campaign), and can happen incidentally due to good marketing and public relations, the truth is sustained link growth requires ongoing effort, in the form of a campaign. If you've identified links as an opportunity to grow—your brand, reputation, audience, traffic, and revenue—then a link campaign is what you'll need. Link campaigns require a custom strategy. The entire point of creating a campaign is to achieve long-lasting, sustainable, repeatable results. In order to see the benefits of a custom campaign, you'll need to dedicate time to research, analysis, testing, review, and reform. Without due dilligence and research prior to a campaign, you will fall short of expectations. It's critical to define goals, opportunities, and set reasonable, realistic objectives that guide campaign scope. There really is no one-size-fits-all strategy for link building. It’s necessary to develop a custom strategy for every campaign you launch, because every website is different. 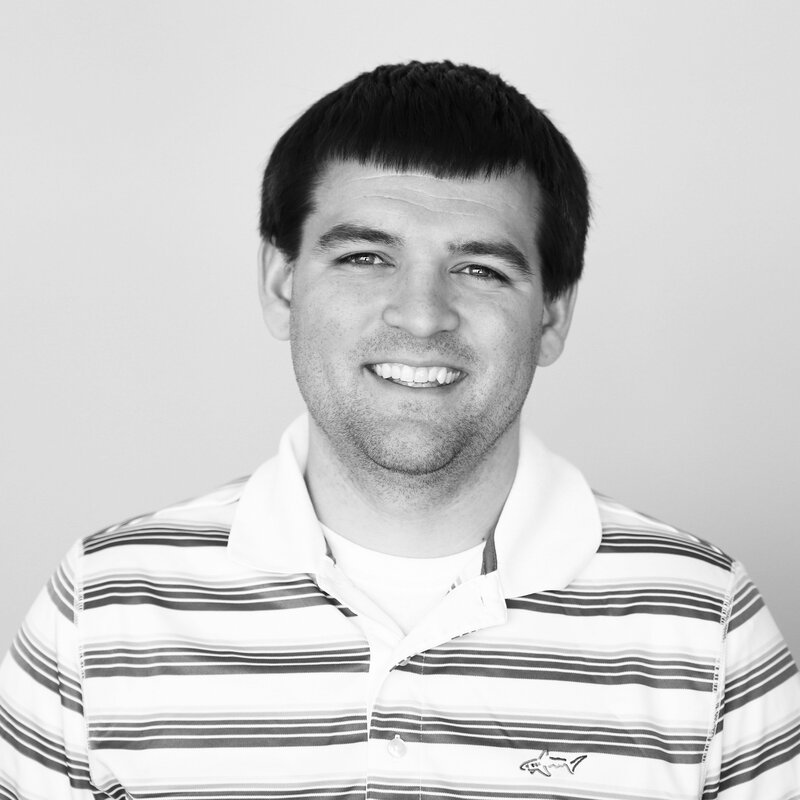 The need for customization is why link campaigns are so important within SEO and marketing. Developing a comprehensive strategy for a successful link acquisition project requires experience, research, and understanding of the industry. If links are key to the growth of your website, brand, audience, and revenue, then you NEED to develop a comprehensive link strategy, to be executed over the course of a campaign. 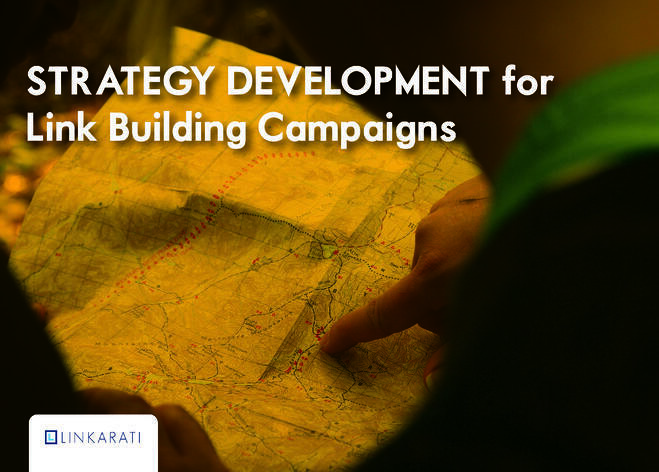 Without further ado, here are steps to develop a link building campaign, and create a cohesive campaign strategy. The first step in campaign strategy development should be interviewing the client. Before a unifying strategy can be determined, you need to deeply understand the client and their business. Target audience and buyer personas. Linkable assets and popular content. Keyword themes important to the business. SEO and link building history. Existing relationships or DNCs (do not contact). The overarching questions you must ask the client are: what would make this campaign a success for you? Why does your site deserve to rank in Google? These are important questions you must ask every client before launching a new link campaign. Not only will this aid strategy development, but it will also help build a relationship with the client and set proper expectations. The first rule of working with clients is that no matter how successful you think the campaign is, it's the client who determines project success. You can have the most successful project, but if you haven't set proper expectations, goals, and project scope then it can turn into a very difficult situation to manage. Understanding and managing appropriate expectations is a vital part of client relations. What is the goal of ranking higher? What are the client's KPIs? These are all significant questions that have major implications in regards to strategy development. After you’ve met with the client and have a firm understanding of their business, it’s time to conduct an analysis of the entire niche and industry you will be operating in. What are the industry-leading sites? What linking environment exists (prevelant linking or sites that rarely link out)? What topics are popular socially? What type of content is heavily linked to? BuzzSumo is an extremely useful tool to gather information about industry and topic-specific cotent. It will allow you to see what content performs well socially, who produced it, and which sites are linking to it. Don't rush through this research—the data you gather prepares you to succeed later in securing links and developing a workable strategy. The competition should be a key component within your niche analysis. It is important to understand the competitive environment surrounding your client’s industry to identify both potential challenges and opportunities. An effective way to gain the insight you need is by conducting a backlink analysis (more detail below) on each of your client’s major competitors. These analyses don’t need to be as thorough as the one you conduct on the client’s site, but there is still much you can learn. Potential link prospects and types of sites linking to competitors. Popular strategies, tactics, and content. Types of pages that perform well in search (informational, product, homepage, deep pages, etc.). Competitive keywords (keywords that overlap across a variety of competitors). The typical number of linking root domains, as well as the average number of links per competitor. It's critical to know what your competitors are doing, and what's contributing to their success. For the purposes of link building, backlink analyses on your competition can give you the insights necessary to craft a campaign to outclass them. Next, it is time to take a deeper look at your client’s site. Before you build a single link for your client's site you should be intimately aware with their pages and offerings. Although link building campaigns primarily involve off-site optimization, don’t neglect the client’s on-page SEO. To maximize your link building efforts, the client must first have a properly optimized site. Link building isn't magic. Any site you want to build links to needs to be deserving of links. Revenue should be the first consideration in any site audit. How does the website generate money? How does it operate, and why is it designed that way? How does it compare to the competition? The type of site will change how you approach your overall strategy. For example, your strategy for an ecommerce site would be much different than for a lead generation site. Specific page metrics also need to be considered in your site audit. Find which pages are popular and driving traffic, and which are not. Analyze which pages are driving the bulk of your conversions, and which pages have a high conversion rate. Page metrics will help you determine where you may want to direct link equity, and which pages may be worth promoting in a link campaign. Don't rely on page metrics alone, however. Relying only on page metrics to select target pages is narrow-minded and can lead to choosing product pages that are difficult to secure a link to. Product pages are often the ultimate destination to direct link equity, but your target link pages should emerge through information gleaned from target audience/buyer persona insights. You'll want to build links to pages your audience will be happy to find, and other site owners will actually link to. Product pages are rarely ideal for link building, but smart use of internal linking can often help direct link equity and ensure ranking improvements. Finding link opportunities and roadblocks for the upcoming campaign should be a key portion of your site audit. Content gaps are particularly important to identify during the site audit stage. A classic example of a content gap is a piece of content that performed well, but is now outdated. This presents an opportunity that your client could fill by creating an updated version of the content. Another prime opportunity you can unearth during a site audit is 404 pages. Websites migrate, URLs change, pages become outdated. It's the nature of the internet. This can lead to wasted link equity. The solution can be as simple as redirecting those URLs to appropriate pages. Finding a handful of link opportunities early in the campaign, during the site audit process, can lead to quick wins and help establish client trust. A backlink analysis is standard in developing link campaigns. The information you glean from a backlink analysis should guide the strategy for your campaign. Anchor text distribution is an important aspect of backlink analysis and strategy development. Before you decide which types of keywords or key phrases to target, check out the distribution of anchor text to avoid over-optimization (or even detect over-optimization that already exists). A backlink analysis will also help you identify potentially toxic links. @sugarrae only thing I'd add is if it's 1-2 links, may not be a big deal. The more it gets close to "lots," the more worthwhile it may be. Backlink analysis will also help identify the good links from quality sites in your backlink profile. These sites are important to identify as you should forgo them in your future efforts, when you are creating a list of potential link prospects. Identifying good links should also help you understand how your site has earned good links in the past, which will inform your tactics and strategy to be effective in your own campaign. Identifying and securing quick wins can make all the difference in your campaign. There are useful opportunities you can identify during the research stage to secure quick wins for your campaign. Demonstrating value and success early will increase client satisfaction, trust, and prove campaign efficacy. The early days of a link campaign are often the hardest. You're determining valuable tactics, setting strategy, and working to secure client trust. You'll need early links to create a strong project foundation and make it to the mid-stage of the campaign. Link reclamation: locate 404 pages and scrutinize for links. Web mentions: during the initial industry research be on alert for any unlinked mentions. Competitor links: early in your campaign you should analyze your competitors' backlink profiles. Opportunities found here can fuel the early campaign. Underpromoted content: identifying valuable content on your site that has strong link opportunity can breathe early life into your campaign. Existing relationships: links are a digital representation of a relationship. If your client has strong relationships across the industry it's often easier to secure links. Proprietary images: if your site has strong imagery it's not unusual for them to be used across the web. Search for other sites using and request a citation via a link. Don't forget your company logo, as well. These are all easy (and relatively quick) ways to build good links at the start of a campaign to help establish client confidence. Of course every link building campaign is different and not all of these tactics will always work, but they should be scrutinized during strategy development. At Page One Power we've created two different eBooks with exhaustive detail on how to pursue some of these quick win strategies. Also, you can read more about how the link builders over at SEER pursue these strategies in this post. The final step: pulling together all the information, research, and opportunities to convert a mesh of tactics into a unified strategy for your link building campaign. There is no simple solution that will work perfectly across every niche, industry, client, and website. Honing research into a customized campaign is the only way to ensure success. Hopefully this post has helped you pull the pieces together. Now it's time to arrange them together into a complete document to plan the course of the campaign. Interview client: gain full understanding of client’s business and ensure clear and specific goals/expectations are established. Niche/vertical analysis: conduct research to discover influencers, industry leading sites and where to find target audience within niche and perform competitive analysis. Perform site audit: utilize page metrics to find existing or potential linkable assets, utilize data from niche analysis to identify content gaps and conduct a backlink analysis to determine anchor text distribution, identify potentially toxic links and find sites where good links already exist. Identify Quick Wins: you'll need a few go-to methods to secure links early in the campaign to help demonstrate campaign value and establish client trust. These should be identified during the research process, and set a foundation for the campaign. Effective link building is predicated on creating the right strategy. Every link building campaign is unique, and you'll need to consider a variety of factors in order to create a custom strategy that fits each campaign appropriately. Don't under-invest in the development phase: it's absolutely critical to the course of your link building campaign.